That sports is healthy and must therefore be accessible to everyone is clear. That is why I would like to draw your attention to the importance of donations for athletes. For many in Europe, sports is the most normal thing in the world. They practice one, two and sometimes even more sports. Often the number of sports that is practiced depends on the season, for example skating or rowing. All in all, the most diverse sports are practiced on different levels throughout the year. From marathon races to drafts and from billiards to athletics. What you do and at what level depends on what you like and how good you are. As long as you sport, the level doesn’t matter! That sport fraternities is clear. Especially when you play sports in a team, it works wonders for your social contacts. But even if you practice a sport that is not played in a team, you always meet new people in the competition. In fact, you can state that everyone should exercise. Fun, good for your body and your social contacts. Win, win, win, so, you would think. Unfortunately, there are still enthusiastic people who love to play sports, but simply do not have the resources to do so. After all, sport is not free. Of course you can work on your own condition, but that of course does not offer the social advantages of a sports club. Fortunately, there are opportunities for both children and adults to qualify for financial contributions to exercise. A large number of municipalities in the Netherlands offer the opportunity to help financially and then there are various funds that help children to still be able to exercise. 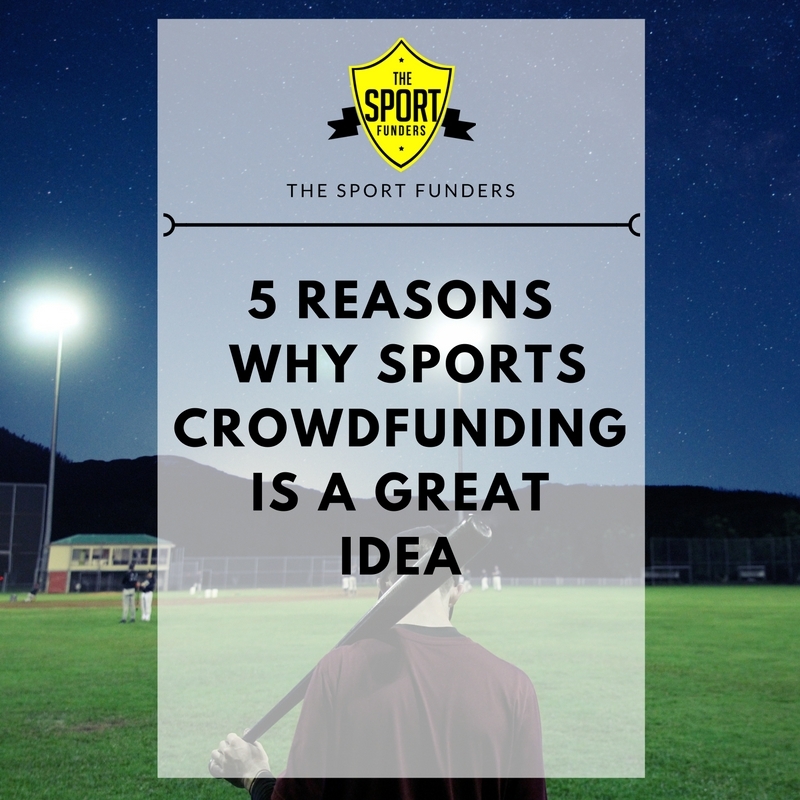 Why then still crowdfunding sports? Maybe you think everything is arranged so well, sport for everyone. Unfortunately, that is not true in all cases. In order to qualify for financial contributions via municipalities or funds, you must meet certain conditions. Then financially. But what if you just earn a few bucks too much? Or if you have a special wish, for example, to perform at a higher level? Or you want to sponsor a charity with a sporting achievement from yourself or with your team? Then you ask the people around you very nicely for help! For example via Whydonate, a fast-growing crowdfunding platform that is perfectly suited for this. Apart from honor and glory, there is no other interest for the athletes who ask for a donation via crowdfunding than the goal they have in mind. It is not business-like and there are no duplicate agenda’s. A donation to a sporting action via a crowdfunding platform is a donation to the sport. With this donation you can make people really happy. The money is always well spent. Whether it is for new shirts for a football team or for a marathon run for charity, such as Cliniclowns. Do it! Not only for the sport, but also for yourself! Because tell me honestly, what could be more fun than helping someone else a bit? Previous Post Wat waren de meest succesvolle geldinzamelacties van 2017? Next Post Geen geld voor de begrafenis en dan?